I’ll be missing the Rolling Stones concert in Seattle this spring, but I have the consolation of having took a solo trip to the standing stones in 2018 — Stonhenge, that is… And, although Keith Richards qualifies as a very old Stone now, these have been around way longer. This has long been a bucket-list item for me so I took time to make a couple visits, go early-morning with a small group, hike around the Stonehenge landscape and visit Old Sarum. I love all of Edward Rutherfurd’s books I’ve read so far. This one was accompanying me on my journey. 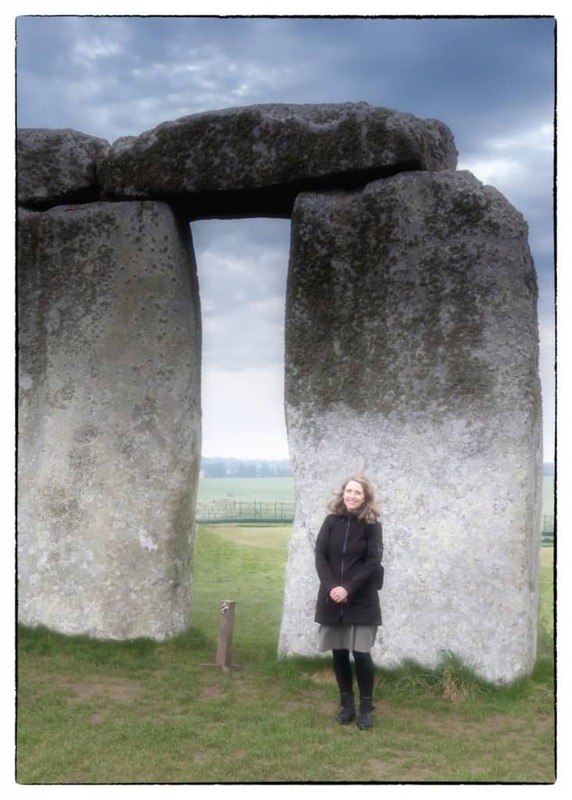 I finally visited Stonehenge this last spring Here’s what I found out about getting there, getting up-close and personal with the stones, visiting the visitor centre, taking the Stonehenge Tour Bus, taxis, staying nearby, and walking the Stonehenge landscape. Iwent through a Stonehenge phase in my “career” as a young artist. I was forced, at the tender age of ten, to go see Roman Polanski’s film Tess. What made an impression on the mind of the would-be artiste(and the only part I actually remember) were the images of Stonehenge. More specifically, Tess at the stones. I no longer have all the pictures I drew back then of women weeping at the stones or, sometimes, taking naps. You can no longer do either if you visit now, both because of the 1.58 million other visitors and because Stonehenge is well guarded in an effort to preserve the stones, although there are caravans which seem to have made a permanent home on a nearby road, displaying signs such as “Free the Stones!” and, it seems, occasionally staging walk-ins into the circle. 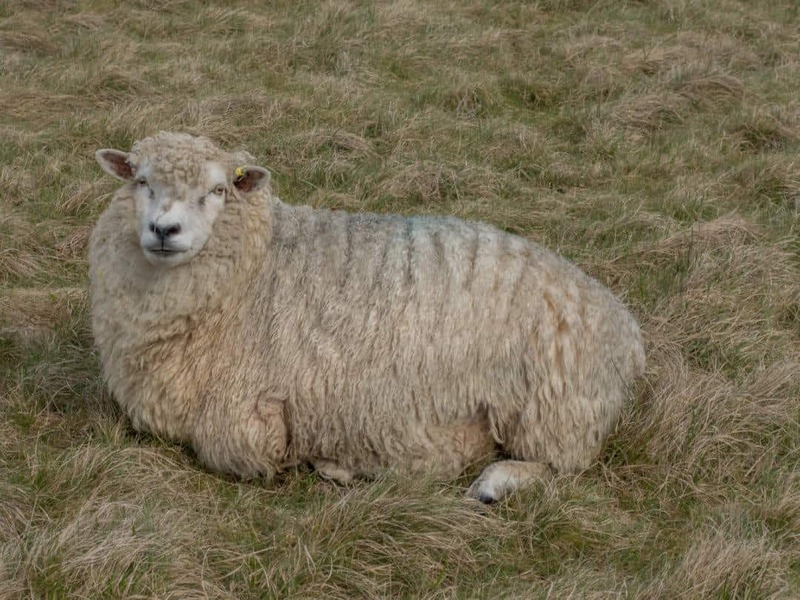 They will not let you do this when you visit Stonehenge. I can just imagine Mrs. Chubb: “WHAT? You bought me STONES?” I reacted much the same way when my husband bought me a box of breakfast cookies for a Christmas gift one year (but they turned out to be some GOOD breakfast cookies). I wouldn’t sneeze at a large set of standing stones as a gift, but, unfortunately, I’m out of room in my backyard at the moment. But Mr. Chubb donated the stones back to England in 1918. I think it’s strange that England has only owned Stonehenge for a century. What was it about Stonehenge that captured my imagination as a 10-year-old? I read everything I could find in our encyclopedia set (note: the encyclopedia was a set of books we used for reference before there was Google) and at the library. 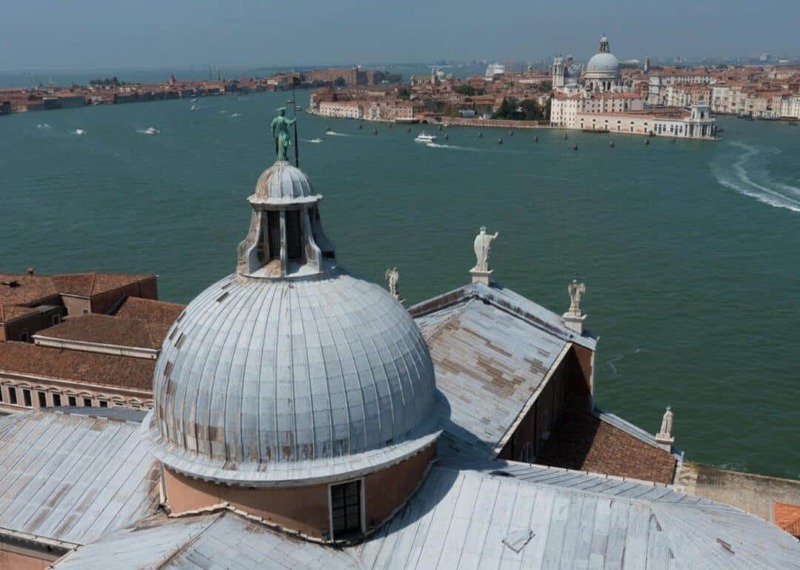 I think what intrigued me were the same questions that bring all these visitors here every year — why was it built? What was it used for? Or some new-age-y idea of mysticism and magic. Sorry to break this to you, but many of the Stonehenge images you see are likely made more mystical through the magic of Photoshop. ...is made even more magical by the power of Photoshop. If Nature doesn’t provide you with the sunrise you want…add you’re own! But speculating on the mystery of Stonehenge isn’t my purpose here. Most of the information you’ll need to plan your visit, you’ll find on the Stonehenge website at English Heritage but, as I met some people during my trip who were not aware, for instance, of the stone circle access visits, so, hopefully, you’ll find some information here that may help you plan your trip. How do you want to see the stones? Ropes keep daytime visitors a distance from the stones — but not too far away. If you just want to get a quick look at Stonehenge and check it off your bucket list, it’s easy just to book one of the many tour buses that depart from London and include other side trips as well. If you are going independently (driving or taking the Stonehenge tour bus that leaves from Salisbury which, I guess, is semi-independently), know that Stonehenge admission is now managed through timed tickets. You can just show up and try to buy tickets, but you are not guaranteed access, so booking in advance is the way to go. Hours are 9 AM to 8 PM with the last admission at 6 PM. If you don’t already know this — again, LOTS OF PEOPLE VISIT STONEHENGE. 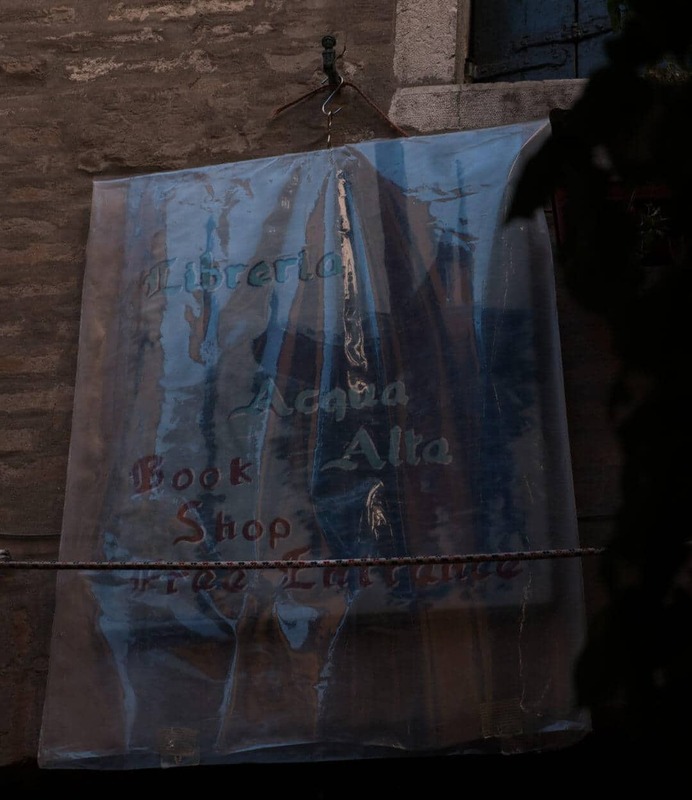 You will be visiting with tour buses full of people, the gift shop will be crowded, and you will be behind ropes a distance from the stones…but not too far away. If you’re into taking Stonehenge selfies — even if you plan to go for a close-up visit to the stones at another time — this is an excellent time to get a shot of yourself that includes Stonehenge in the background and not the 19 other people in your stone circle visit group. Really. I just stood here to get out of someone else’s selfie. Note the post: do not stand here or they will yell at you. If you want to walk among the stones (along with about 19 other people who also want to get close up and personal with the stones and get in your selfies), plan your visit well in advance. Access to the stone circle is only on certain designated days and times and spaces fill up. If there are two times listed, think about when you want to be there. 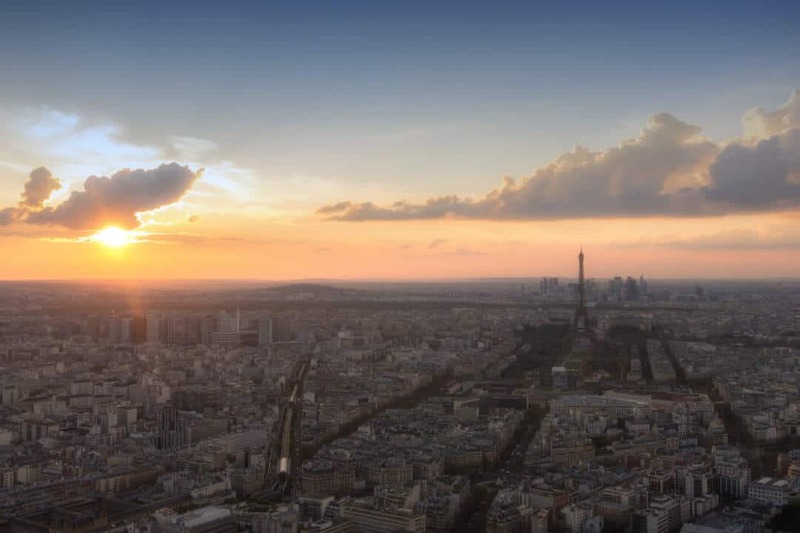 The earlier AM (or later PM) time may correspond better with sunrise or sunset, but don’t expect nature to comply with your need for an amazing mystical sunrise or sunset. Nature doesn’t care. There are plenty of tours that offer early or late private access and if you’re staying in London, booking a tour can simplify lodging and travel arrangements but, usually, these are during the later AM times or earlier PM times, so they tend not to correspond with sunrise or sunset. 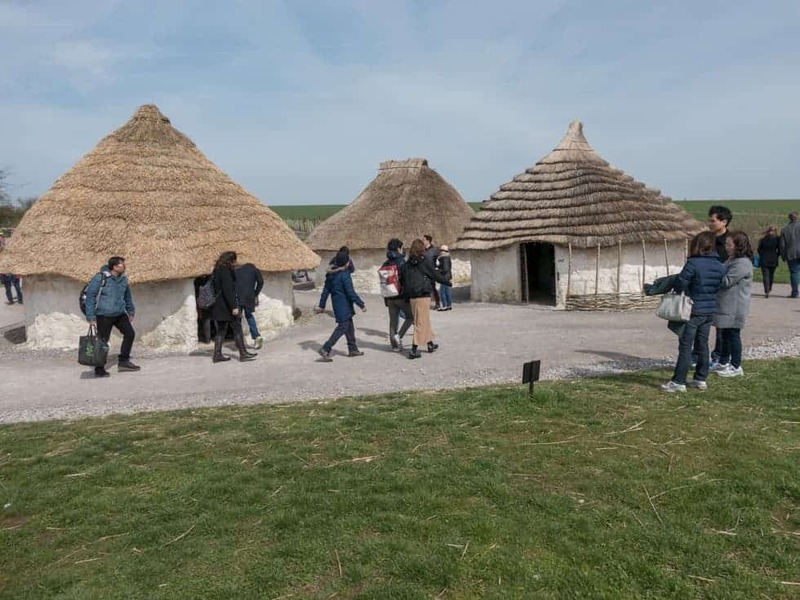 If you want to arrange a private visit independently and not through a tour group, you will need to fill out the application at English Heritage for your top three picks for date and time and then, after your time is approved, call with payment. 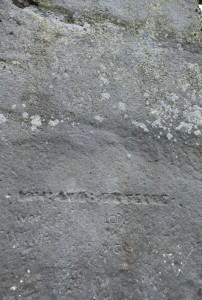 Old graffiti carved into the stones. Was getting up close worth it? Yes, as visiting Stonehenge has always been one of my bucket list items and I would have been disappointed if I hadn’t done it. English Heritage, of course, will not let me fulfill my lifelong dream of taking a nap on the stones on a summer afternoon, but I’ll just have to live with that. My experience visiting Stonehenge wasn’t truly any more mystical or magical than visiting the Maryhill, WA Stonehenge which isn’t ancient but is nicely situated on a beautiful bluff overlooking the Columbia River. But I’m glad I went. Seeing Stonehenge up close is worth it — you can get a better sense of the immense size of the stones, the effort it must have taken prehistoric builders to move them, the wear of time — and look at some of the (very old) graffiti scratched into the stones. I imagine that you could add to the magic of your Stonehenge visit by going on a solstice where, apparently, they still do allow big (about 5000 people big) celebrations with drumming, chanting, etc..
Know this: there is no public bus to get to Stonehenge. Your options are: take a tour, drive, take a taxi or to take the Stonehenge Tour Bus from Salisbury. There are, however, public buses in the area — buses do run between Salisbury, Old Sarum, and Amesbury and all have contactless now, which means that I was able to simply use Apple Pay on the buses and explore the area — with the exception of getting to the Stonehenge visitor center. For early or late stone circle access visits, however, you’ll need to drive or take a taxi. These big green buses leave from the train station in Salisbury generally starting around mid-morning but times vary seasonally, so you’ll have to look at their schedule to time your visit. 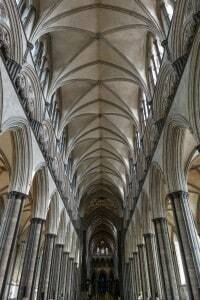 You can use them for transport only or purchase a package that includes admission to Salisbury Cathedral and Old Sarum. If you choose to make an early-morning stone circle access visit, however, the Stonehenge Tour Bus will not work for you (unless you’re like me and decide to roam around the Stonehenge landscape for hours until the bus starts running again). For very early or late visits, your options are driving or taxi. For very early or late stone circle visits, if you’re not driving, you’ll need a cab. Fortunately, taxis are plentiful in the area if you arrange your ride in advance. The taxi drivers in the area seem very used to driving people for early or late visits to Stonehenge. Most people also arrange a return trip, as the Stonehenge Tour bus does not begin running for a significant amount of time after the early-morning stone circle visits finish. My driver seemed genuinely perplexed that I didn’t also arrange a return trip — it seems that people often just have the taxi wait while they visit the stones and have a return time arranged — and needed reassurance that I would be OK. I used Salisbury Value Cars which cost approximately £13.40 for my one way trip between Amesbury and the Stonehenge Visitor Center. Other area taxi companies are All the Sevens, AA Taxis, Salisbury Red Taxi, Vic’s Taxi…there are others but these are ones I’m aware of that will provide transport to and from Stonehenge. I had this crazy idea, before actually visiting, that I would stay in a B&B close to the stones, take a taxi in the morning while I left my stuff at the B&B, walk around by Stonehenge for a bit, then be able to walk back to the B&B for my stuff. A stupid trip planner mistake. I did not consider that there was this thing called the Amesbury Bypass blocking my “easy” walk between Stonehenge and the B&B. If you happen to be visiting someone who lives in one of the homes I saw when walking the Stonehenge landscape, OK…but don’t plan to stay in your lodging in Amesbury and walk to the visitor center. However I do have this item now added to my bucket list: hiking the Great Stones Way from Salisbury to Avebury. If you are staying in London, it’s straightforward to get to Salisbury by train. South Western Railways runs between London Waterloo and Salisbury. While you can probably get a ticket at the station last-minute, it’s much less expensive (and less risky) to book your tickets in advance. If you’re going to be doing much train travel around the UK, consider getting a railcard. Of course, there are other places to stay if you are visiting the stones, but the most popular nearby spots for Stonehenge visitors are Salisbury or, of course, Amesbury where Stonehenge is situated. If I ever go to Stonehenge again, I will probably choose to stay in Salisbury, for the convenience. It’s a farther trip than staying in Amesbury, but the Stonehenge tour bus starts here, there are numerous city buses, and there’s more dining and things to do. Salisbury is rich in history. Its cathedral hosts one of the four surviving originals of the Magna Carta, as well as sporting the tallest church spire in England, and, like many English towns, has a market square that those of us from the New World tend to find charming (and hosts an actual market on Tuesdays and Saturdays, if you happen to be there on one of those days). I’m a sucker for expressive stone heads on cathedrals. 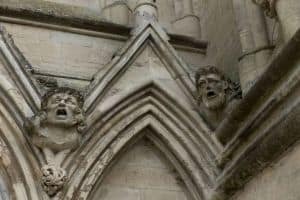 While York Minster is my #1, Salisbury cathedral sports some pretty expressive stone heads. 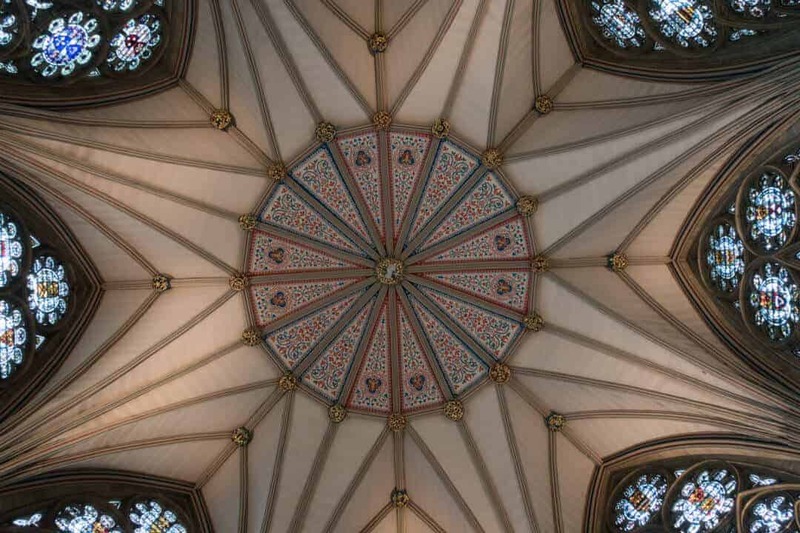 I arrived too late to go up the spire — if you plan to visit the cathedral (and it’s recommended) plan to arrive early enough to go up the spire. They take groups up, so you’ll need to get there early enough to get in a group. Amesbury, the town where Stonehenge is located is where I stayed at a nearby B&B. But, unless you’re lucky and somehow found an AirBNB is the neighborhood that is actually in the Stonehenge Landscape, you will probably not be able to walk from your lodging to Stonehenge, and there aren’t buses that run for early and late visits. Still, your taxi fare will be less than getting a ride from Salisbury. My stay in Amesbury was pleasant, however. I took the bus from Salisbury after a day of seeing Stonehenge, walking up Old Sarum, and visiting the cathedral on a clear, but windy, spring day. I had a quiet evening I wouldn’t have had if I’d stayed in Salisbury. I walked into town past pubs, paused on a bench in an old churchyard with stones going back to the 18th century, stopped again to watch a swan on the River Avon, past a thatched cottage, and to my lodging. Visiting a visitor center seems, well…touristy (but I shouldn’t delude myself– I am a tourist!) But don’t avoid the visitor center at Stonehenge, except for — possibly — the gift shop — unless you’re expected to bring souvenirs back. It’s — as you would expect — overcrowded. The visitor center also, of course, displays artifacts from around the area and has a bronze-age mock village outside to check out how people lived back in the day. It seems that most visitors, by and large, go, see the stones, check it off the bucket list, and leave. But the landscape around Stonehenge is vast, open to the public and worth hiking if you have the time and inclination. 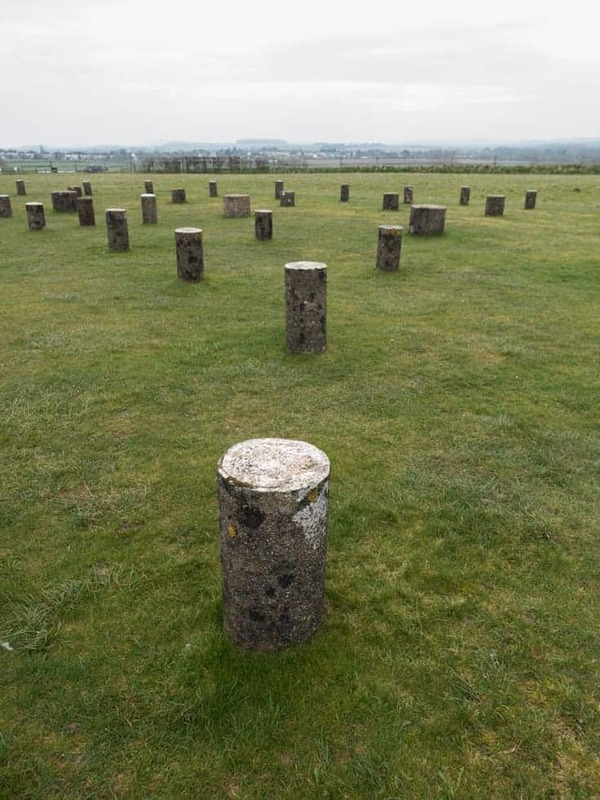 After my early morning stone circle visit, instead of heading back to the visitor center on the bus, I got ready to head out to view some of the barrows and find Woodhenge (which, incidentally, has parking adjacent to it so you don’t actually have to take a long hike to visit it). The bus driver didn’t know me, obviously. While I didn’t exactly get lost, and eventually did see the cursus, barrows (and lots of sheep) visit Woodhenge, and eventually find the Durrington walls and the cuckoo stone — I did so by walking through a neighborhood situated in the Stonehenge landscape, pulling out my phone to verify location with Google maps several times, walking through many muddy sheep pastures, some with signs warning people to beware of thieves (fortunately, I was not set upon), and eventually totalling a 9 mile hike for the morning. 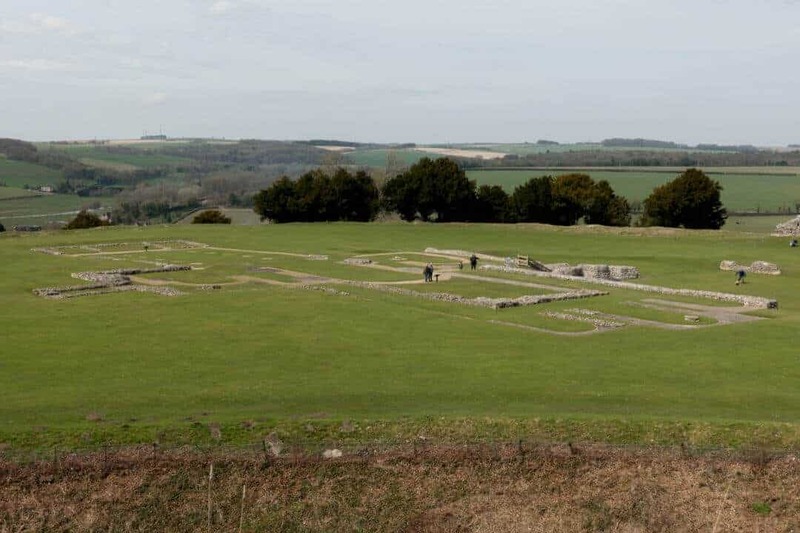 If you’re going to Stonehenge, definitely make the time to visit Old Sarum. I enjoyed my visit here as much or more as visiting Stonehenge (to my surprise). After a crowded visit to the visitor center on my first day, I enjoyed a peaceful and quiet hike around the hilltop. Old Sarum is the original settlement in the area, the ruins of an iron age hillfort, the site of the first cathedral before Salisbury cathedral was built. From high up on a bright, but windy, day, the view of the spread of Wiltshire countryside was beautiful. City buses run between here and Salisbury, so getting back via public transport instead of the tour bus was easy. Taking a couple of days out of my recent trip to London to venture to Salisbury and Stonehenge was worth it. 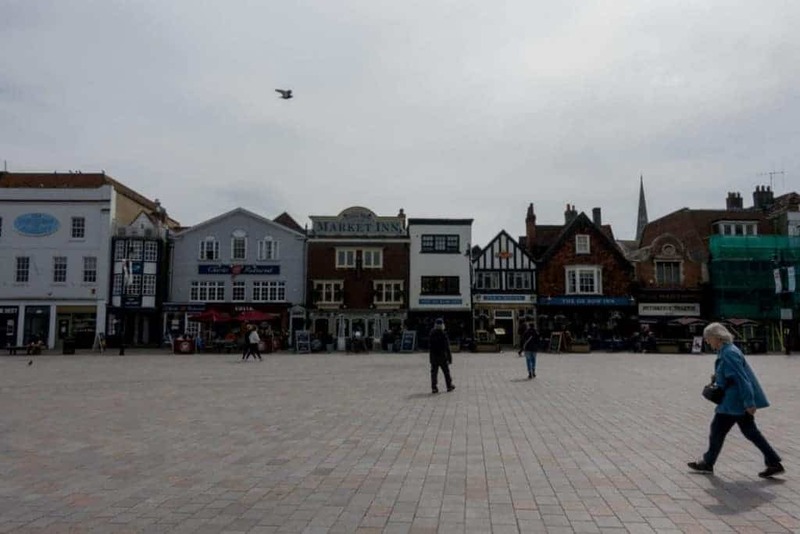 If and when I return in the future, I’d like to spend more time in Salisbury itself (and then hop on the train and see more of western England). What did you enjoy, or not enjoy about your trip? Any advice for future visits or visitors. I’d love to know in the comments below.